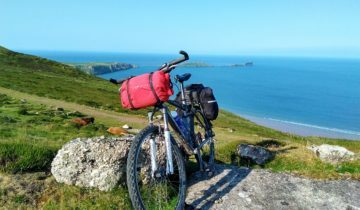 You need to have the Sustrans Lon Las Cymru, Northern sheet and also the corresponding OS maps. If you have these, the off-road sections are fairly easy to follow. Starting at LLanwrtyd station head north on lanes and after about 8 miles take a turn off into the forest. This section is not always clearly marked so needs close navigation using an OS map. From here you follow trails through the forest and merging at Strata Florida Abbey. You then head towards Devil’s Bridge on a mixture of lanes and off-road tracks. From Devil’s Bridge there’s a few miles on a fairly quiet main road to Ponterwyd. The next section to Machynlleth takes you through some fine country – across moorland hills, alongside rivers, lakes and through forests – mainly on the tracks and minor roads. 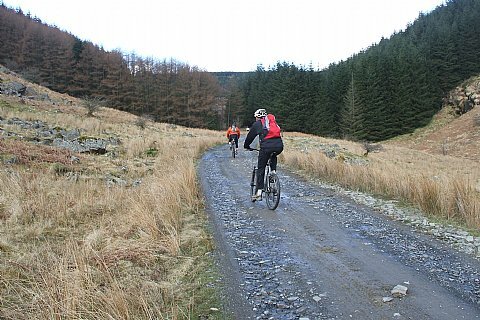 The route through the forest section after Cronfa Nant-y-Moch reservoir to just before Machynlleth is not always clear, depending on forestry work, so a bit of navigation with the OS map may be needed to see you through this stage. Machynlleth is a good place to stock up with food, has a bike shop and a campsite 3 miles to the west at Pennal. From here there is a section of forest trail and then lanes climbing out on to the hills before descending to Tywyn. There are fine views out to the coast and Aberdovey estuary. Tywyn has various campsites in or near the town. Next stage is a great mixture of mountain tracks. 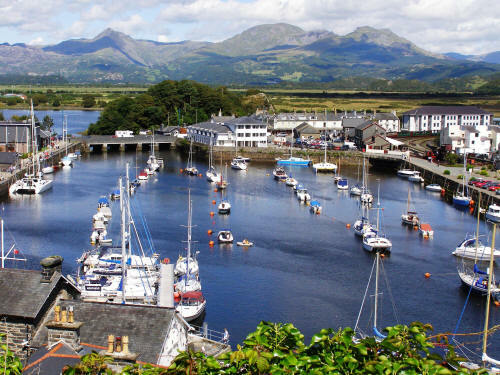 There’s a steady climb up the trail as it takes you across the western side of Cader Idris with superb views of the mountains and Barmouth Bay, followed by a steep descent to Arthog. 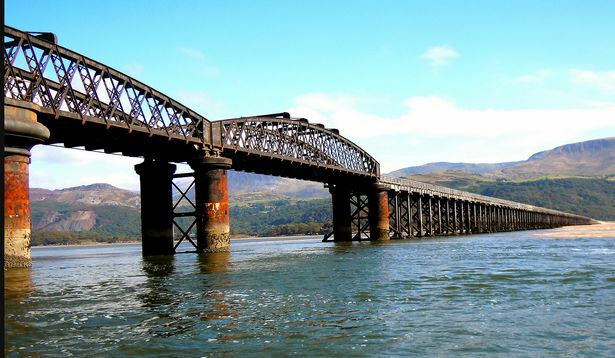 From here you can make a diversion to Barmouth, crossing the impressive railway bridge (complete with cycle track ) that spans the estuary. After returning from Barmouth there is a welcome break from the climbing with a fast, scenic ride along the Mawddach estuary to Dolgellau. 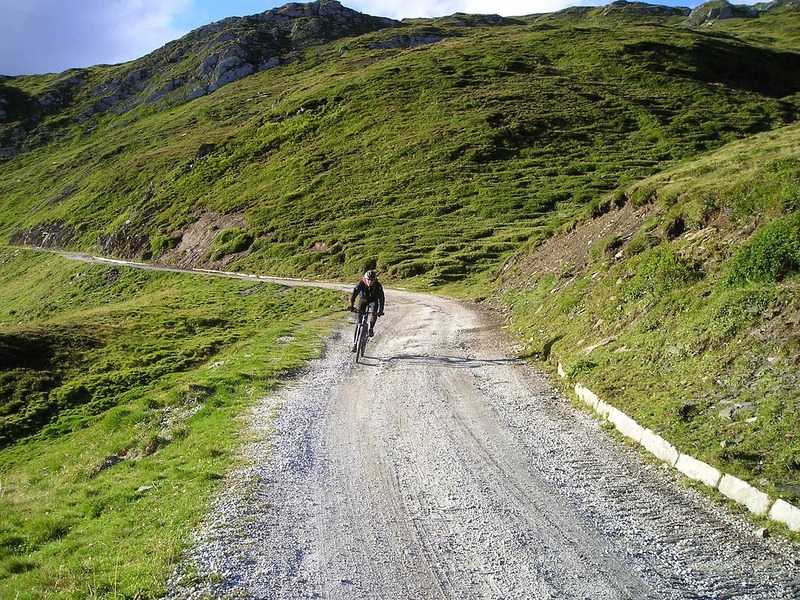 From here you head north on minor roads until you get to Coed y Brenin – famed for its MTB trails. The Sustrans route skirts most of the trails but you can always add in some if you want. The final section to Porthmadoc is on road – either B road if you follow the Sustrans route or more directly on the main road. Either way it’s not too far to Porthmadoc which is a good little place to look around – or sit on the beach – before you catch a train back. The OS 1:50,000 maps sheets 147, 135 and 124 are useful for more detailed navigation if required. There don’t seem to be any specific websites for the Lon Las that include the off-road sections and guide books also tend to concentrate on the road options rather than the off-road variants. The same seems to be true for GPX file downloads. However, the Sustans map together with the OS maps are more than adequate for following the off-road sections. 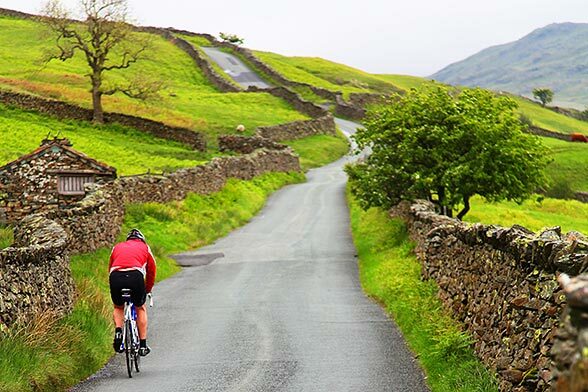 Any time from spring through to autumn should be good, depending on local weather conditions immediately before and at the time you are going. Generally the tracks are good and will only become very muddy or hard going after prolonged rain. Surprisingly, it’s not a hugely busy route so even during holiday times there shouldn’t be too many people doing it. As this is a one way route, train is the best option. If you want to drive, you could leave the car in Shrewsbury as both the outward and return legs of the journey are on direct trains to Shrewsbury. Take the Arriva Train Wales http://www.arrivatrainswales.co.uk/ train from Shrewsbury to LLanwrtyd – 4 trains a day, about 2 hour journey – book bikes in advance. The return journey from Porthmadoc to Shrewsbury takes about 3.5 hours and there are trains every 2 hours. Again, bikes need to be booked on in advance. There are shops in the main villages and a supermarket in Machynlleth so it’s easy to re-supply.